In the blink of an eye, the negligent actions of others can forever change the lives of people in the Dallas metropolitan area. 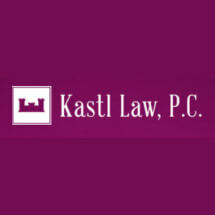 At the Dallas, Texas, law office of Kastl Law, P.C., our personal injury lawyer is dedicated to helping those injured as a result of car and truck accidents, dangerous or defective products, unsafe premises or workplaces, and a range of other such causes to be made whole for their resulting losses, including their pain and suffering, medical bills and lost wages. The team at our law office prides itself on being a voice for those injured through the negligence or recklessness of another. We know that insurance companies and others may attempt to intimidate people or otherwise use unfair actions to put off accepting financial responsibility. Our attorney aggressively advocates on our clients’ behalf and will not be pushed into accepting an unfair settlement. Our attorney discusses clients’ cases with them in a free initial consultation, including reviewing the circumstances of their accidents and their legal options. We work to ensure those we represent know what to expect and are prepared to make informed decisions about their cases. Our team helps people gather supporting evidence, from medical records to witness statements, and guides them through the legal system. At the law office of Kastl Law, P.C., we strive to make the process as smooth and free of stress as possible for our clients. We stay in regular communication so those we represent are aware of the status of their cases, and work to return phone calls and emails in a timely manner so people are never left with unanswered questions or unaddressed concerns. To best serve our clients, we accept credit cards.